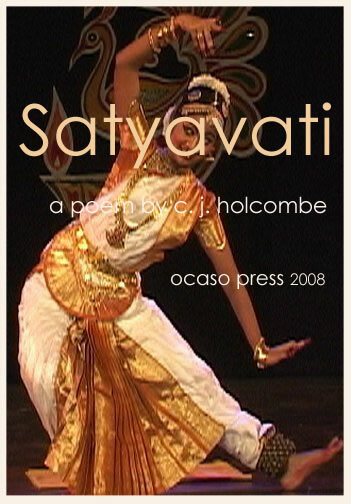 The fictional story of Satyavati derives from the many popular romances of pre-Mogul India. The speaker is Hushang ibn Dilawar, ruler of the small sultanate of Malwa in what is now Madhya Pradesh in north-central India. Hushang came to the throne in AD 1406, inheriting the kingdom from his father who had declared himself independent of the Sultans of Delhi after Tamberlane's invasion of 1398. Hushang introduced a policy of religious toleration, encouraged sufis and Islamic clerics to settle in the kingdom, and employed many Rajput (Hindu) soldiers in his army. Most of Hushang's wars were with neighbouring sultanates, but he is shown in the poem as a typical Islamic ruler — dispensing justice at the durbar, maintaining a splendid court, and in extending the power of Islam. Hushang died in 1435, his ineffectual son was deposed a year later, and Malwa was then ruled by other noble families until annexed by Akbar in 1568. India has many poems telling the love of Islamic rulers for Hindu princesses, most of them ending badly. Hushang's misfortunes stem from his character — his distrust of Satyavati's brother, whose death he engineers, his massacre of Chatrapati's court, and his attack on the stronghold of Satyavati's family at Ujjain. The Rajputs practised sati, and Satyavati's death is likewise inevitable: she dies by taking powdered diamond. repose as supplicants — asleep. the hot breath falters on my head. over as the night winds pass. withholds its splendour for the night. the syllables that choke the heart. in steeps of quietness and shade.